Detail provided by Troy Carpenter. 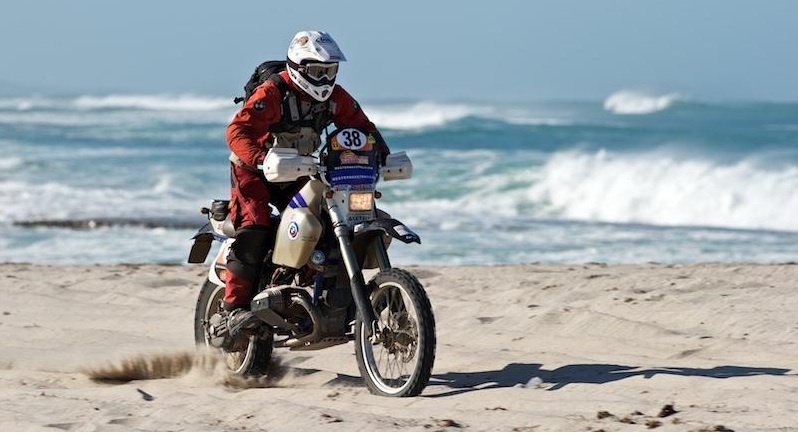 Which places him in 32nd place overall at the completion of the second day (LEG 2) with a total time of 13 hours 32 minutes and 40 seconds. Jason sounds to be having fun….”about 150ks into stage one I was again attacked by this crazy ozzie wilderness! Stupid fence post. Enough to break the tank mounts which yoinked a hole in the tank. Not wanted to spill any precious juice into the pristine environment i drank enough to get the level under the hole and pressed on. That’s a total of 410.6km through the Carnarvon region.